Enter to Win! Winners selected weekly through September! 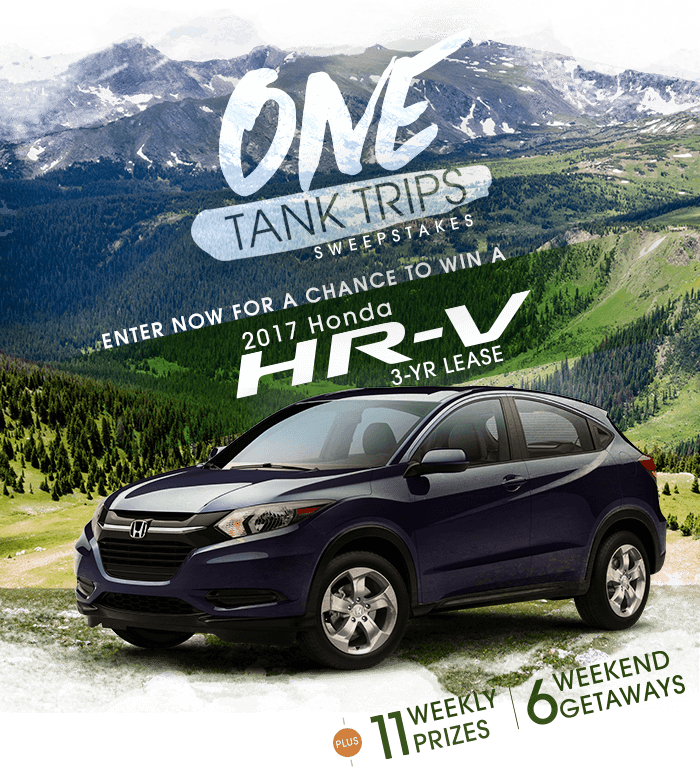 In its fifth annual One Tank Trips sweepstakes, the Rocky Mountain Honda Dealers Association is giving Colorado residents a chance to win weekly prizes and vacation giveaways. The grand prize is a 3-year lease of the 2017 Honda HR-V! Weekly $50 Gas Cards Cards are good at Loaf & Jug convenience stores. Mount Princeton Hot Springs Resort Win a two-night stay for a family of four. One meal and activities included! A gorgeous natural oasis surrounded by towering peaks. Your perfect getaway, with every amenity. Mount Princeton Hot Springs Resort is where you can do it all. Satisfy your quest for adventure, experience the healing powers of Colorado hot springs, and indulge in pampering spa treatments. Unlimited outdoor recreation alternatives for every interest, in every season, at every level. Gourmet meals, choice lodging, and our welcoming staff await you. Royal Gorge Win a one-night stay at the Bighorn Mountain Top Lodge, two Hi Alt tickets – with general admission, Skycoaster, and Zipline – and two meal vouchers! Tumbling River Ranch Win a two-night stay with meals included and participate in activities like horseback riding and fly fishing! Visit the Rocky Mountain Honda Dealers’ Website to Enter! 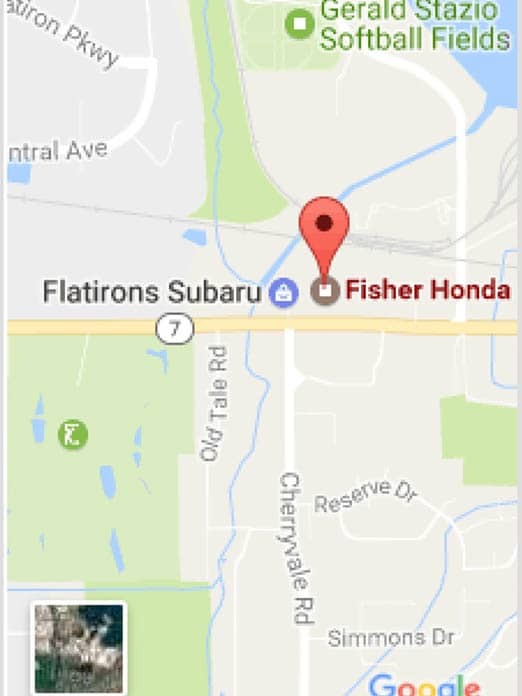 Want more info about a Honda? Prizes are drawn weekly. Grand prize winner is announced Monday, Sept. 4. See Rocky Mountain Honda Dealers for more info.